In making the selection, UBC President Santa Ono and an advisory committee considered such factors as the extent to which nominees have provided a consistently high level of customer service, created innovative programs and opportunities, anticipated client needs and potential problems, and served as positive role models. A 300 square-metre space in the Fred Kaiser Building, the Machine Shop is where many MECH students first learn how mechanical devices are made and develop key machining skills, including milling, drilling, sawing, turning, fabricating, joining, shaping and cutting. 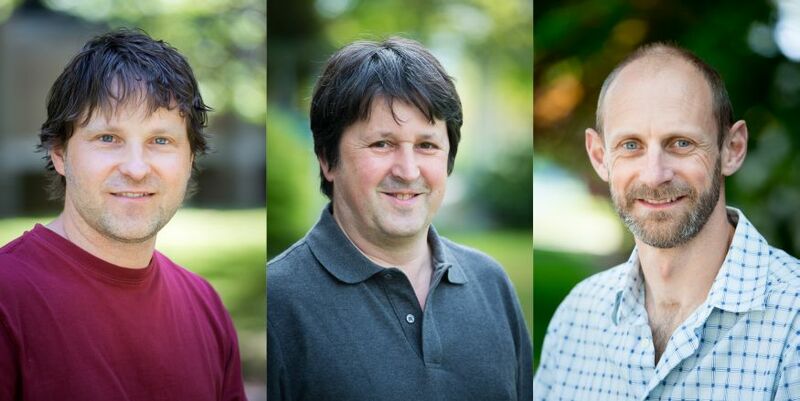 According to colleagues and clients, Genshorek, Nimmervoll and Wilson have played instrumental roles in many aspects of MECH research, teaching and machining activities. Rather than merely setting up lab equipment, providing safety instructions and offering general supervision, they serve as valuable educators and mentors, routinely going above and beyond to support individual students, staff and faculty members as they tackle design and engineering issues. Among the numerous improvements the Machine Shop team has made are the creation of an online booking calendar and job submission system, which have greatly facilitated access to Machine Shop resources, and a series of videos, available online and on dedicated monitors in the Shop, which answer common machining questions and teach the safe and proper use of Shop equipment. Original article from the website of the Faculty of Applied Science.